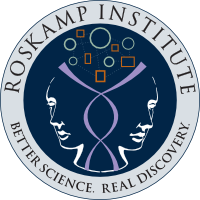 Family caregivers are invited to attend a day of reflection and education at The Roskamp Institute. Topics to include: nutrition, self-care, stress management, time management, meditation and joy. Cost $25.00 per person. Breakfast, lunch, and tours provided. 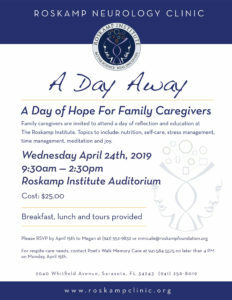 Please RSVP by April 15th to Megan (941) 552-9832 or [email protected] For respite care needs, contact Poet's Walk Memory Care at (941) 584-5575 no later than 4pm on Monday, April 15th.